It’s been a bad flu season so far, and some experts think that it will only get worse in 2013. By the end of 2011, only 849 flu cases had been reported, but that number increased exponentially this year to 22,048 cases! That is a LOT of sneezing, coughing, and body aches across the country! How to protect yourself? Purell. One word, so much protection. Washing hands is the number one way to avoid the flu germ, but what do you do when there isn’t a sink around? Purell is no secret, and has been around for as long as I can remember, but it still bears attention, especially during such a bad flu season. Purell is handy; it comes in purse size, on a keychain, for your desk…anywhere you need or want it, there is a bottle to fit it. You can get a dispenser and refills to put in your garage or by the garbage cans, like I do. It can also be wall mounted in your kitchen or bathroom. 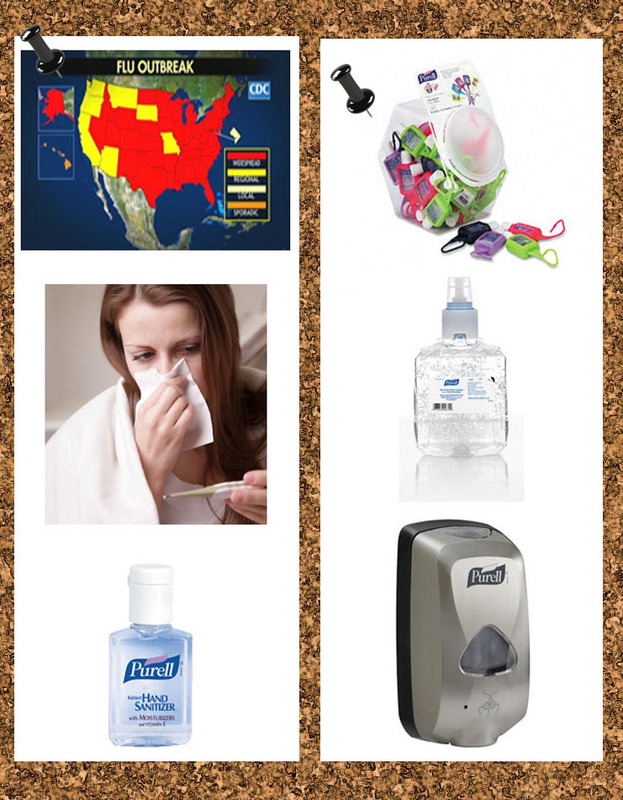 Just remember, when you’re out in the world, doing your shopping, or at the gym, or at the office, make sure you keep some Purell handy (pun intended) so that you don’t contract or spread the flu virus. And, if you do unfortunately contract the flu, stay home! When you’re out in public with the flu, you’re just going to spread the misery. Previous Post May I Borrow That?